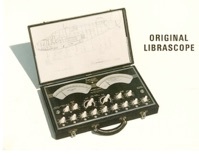 Librascope was founded in 1937 by Lewis W. Imm who invented the "Librascope", an Aircraft Weight and Balance Computer. The Librascope was first sold to the airlines and then the military for computing an aircraft’s total weight and center of balance while it was being loaded. At the start of WWII, the Company developed and then mass-produced the Mk 7 Antiaircraft Barrage Computer for the U. S. Navy, which used it to determine when to fire its guns at approaching enemy aircraft. By the end of the war, the Company had established its reputation as a leading developer and manufacturer of precision fire-control equipment. During the following years, the Company developed many other important contributions, most of which are described herein. In 1959, the company grew to be the largest employer in Glendale, California with over 4,200 employees and twenty-seven buildings locally. At that time, the Company's main products were large weapon fire control systems for the US Navy. Over the years, Librascope also did very significant work for international navies, commercial customers, and the U. S. Army. Starting with General Precision Equipment Corporation in 1941, the Company went through a series of acquisitions - The Singer Company in 1968, Bicoastal Corporation in 1988, Loral Corporation in 1991, and finally Lockheed Martin Corporation in 1996. Then on June 30, 2000, Librascope's Glendale facility was closed, and its remaining business was moved to its parent Lockheed Martin division in Manassas, Virginia. This web-site is dedicated to preserving Librascope's important history, and the memories of its many dedicated employees. From WWII until it closed, Librascope published a company newsletter called the Librazette. Fortunately, nearly all of these newsletters were preserved, so in 2008 this web-site was started for the purpose of making them available on the internet. During development, it was decided to also include many other types of Librascope documents and memorabilia to complete the web-site. This collection of documents, including over 300 Librazettes (in PDF format), is the best overall record of Librascope's past history and its many contributions to the nation's (and the world's) defense. Because of their size and importance, all of the documents on this web-site were made completely searchable. This feature is helpful for finding information related to such things as past employees (a.k.a. 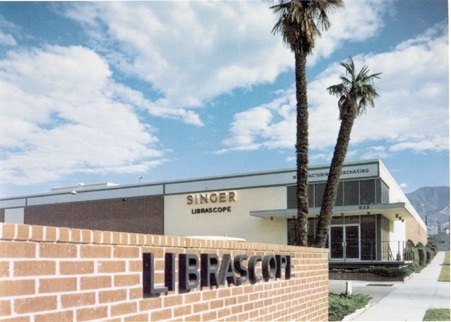 Libravets), significant products Librascope invented, and the numerous contracts the Company won. In addition to the above publications, the site contains previously published histories, a timeline of major events, and some contributed “sea stories”. Downloadable videos and numerous photos from both the past and the present are also included. These sections were added in the hope that former employees and friends of Librascope will assist in documenting its rich history on this web-site. 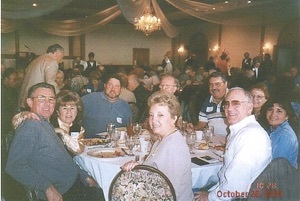 In 2013, Librascope’s Glendale facility will have been closed for thirteen years, but hundreds of past employees and friends still gather at Georgine Archer’s well organized reunions every two years. This continued interest demonstrates the special part that Librascope has played in so many lives. PS: In October, 2010 we published an additional Librascope web-site specifically for posting news items pertaining to current events of interest to Libravets. Both timely news items and announcements are posted frequently, so bookmark it and check our new “Librascope Memories - News Blog” often at www.librascopememories.blogspot.com . Welcome to the Librascope Memories site - 60 plus years of history. Last updated: Tuesday, September 11, 2018 - 7:00 PM. Click here and read Blog item #54 for the details. Note, this Blog is different from the Librascope Memories - News Blog described above. 2018 REUNION COUNTDOWN - The 2018 Librascope Reunion will be held on Saturday October 13, 2018 at the Federal Bar Restaurant in N. Hollywood, CA. See Blog Post #155 or Georgine Archer for details.